Henry Holt & Company, 9780805082838, 326pp. Yes, that's us. 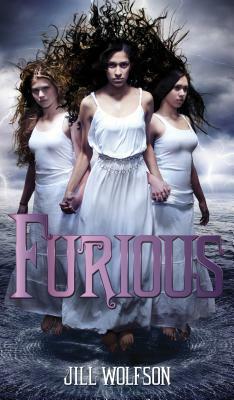 The three Greek Furies, come to life, ready to take our revenge on everyone who deserves it. And who doesn't deserve it, really? We're done with chances. We are angry. The Furies have come to town. Jill Wolfson's Furious is an enthralling retelling of Greek myth. Jill Wolfson has worked as a journalist for newspapers and magazines around the country. Her award-winning novels for young people include What I Call Life; Home, and Other Big, Fat Lies; and Cold Hands, Warm Heart. Jill has taught writing at several universities and is a long-time volunteer in a writing program for incarcerated teenagers. She lives by the ocean in Santa Cruz, California.